What makes the perfect schnitzel? To start it has to be at least as big as the plate. It also must be extremely crispy and thin. Figlmuller even goes a step further and just uses the tenderloin of the pork. So even though you will see many other schnitzel ads and get a few leaflets handed to you with specials I suggest you make your way to the place which has been around since 1905. The concierge at our hotel warned us of the lines. There are two locations just around the corner from each other. 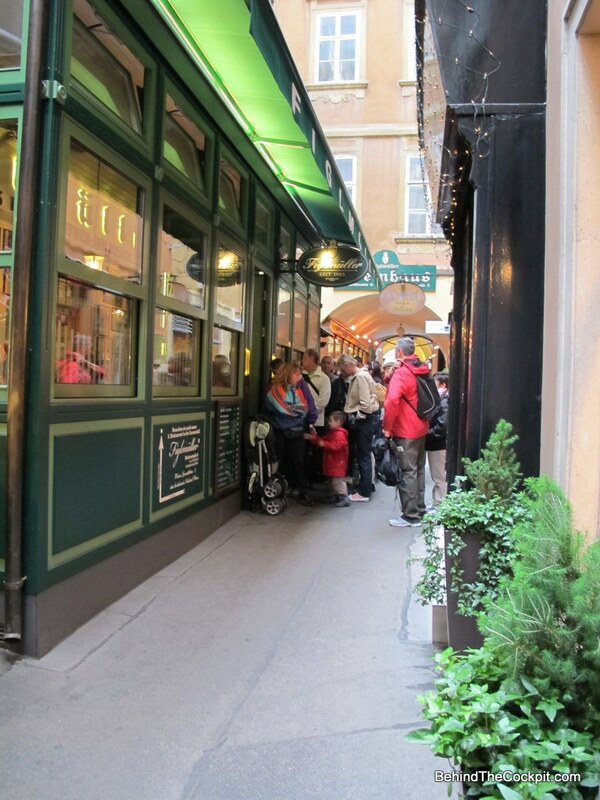 The original location in the little alley is smaller and usually has a longer line-up. In our case there were two of us so my girlfriend took a spot in this line while I quickly went around the corner and noticed the location added in 2001 only had 1/3 of the people. After a 10-15 minute wait we were seated at the table on your right as you enter. 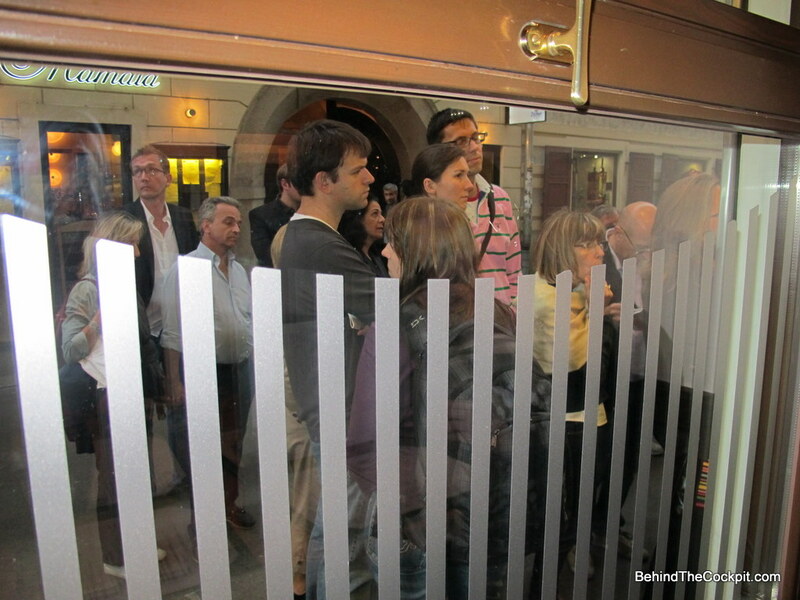 At first I was a bit sceptical because the crowd waiting stands right next to this area but the bartender who took care of us did an excellent job. The table actually worked well because beverage refills were on our table within a minute of ordering. In addition to our schnitzels we ordered house specialty salads which were different types of coleslaws and potato salads which complimented the entrée well. We didn’t order ketchup but did get a few more lemons to drizzle on our perfect schnitzel. This is one place I will be back to next time I step foot in Vienna. Best schnitzel I've ever had! 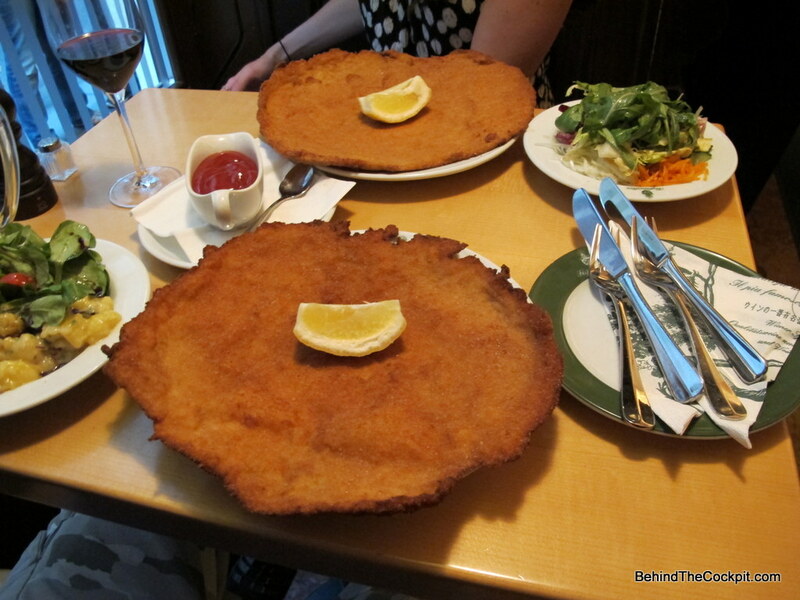 This entry was posted in Food Worthy of a Detour, Uncategorized and tagged Food Restaurant Schnitzel Vienna Austria. Bookmark the permalink. I want one of those schnitzels!